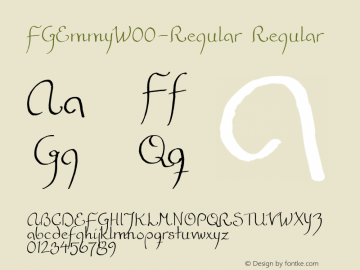 FGEmmy-Regular font family series mainly provide Regular and other font styles. Emmy-Regular font family series mainly provide Regular and other font styles. 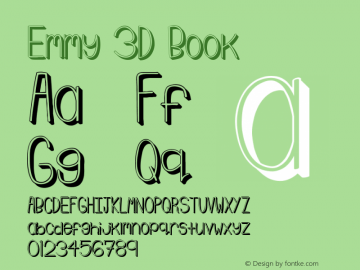 Emmy 3D font family series mainly provide Book,Regular and other font styles. Emmy Shade font family series mainly provide Regular and other font styles. Emmy Stripe font family series mainly provide Regular and other font styles. Emmy Swash font family series mainly provide Regular and other font styles. Emmy-Swash font family series mainly provide Regular and other font styles. Emmy-Shade font family series mainly provide Regular and other font styles. 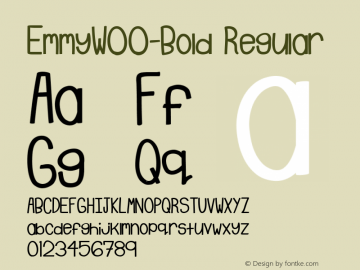 Emmy-Bold font family series mainly provide Regular and other font styles. 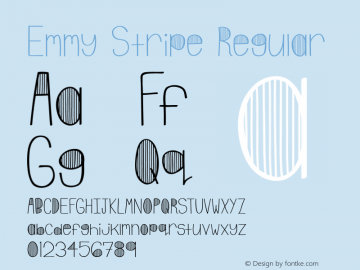 Emmy-Stripe font family series mainly provide Regular and other font styles.